Delta State Polytechnic Ogwashi-Ukwu ND and HND screening dates for the 2017/2018 admission exercise has been released. 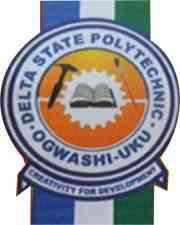 The DELTAPOLY Ogwashi-Ukwu National Diploma and Higher National Diploma candidates will take place as scheduled by the school management. Candidates who applied for the National Diploma (ND) and Higher National Diploma (HND) full-time programmes of Delta State Polytechnic Ogwashi-Ukwu 2017/2018 academic session should not that the date for their screening test has been announced. Delta State Poly Ogwashi-Uku ND screening is to hold on 9th October, 2017 while HND candidates screening will hold on 10th October, 2017. This will enable them see their scheduled Screening Venue and Date. Please endeavor to inform others.